It’s the Perfect Time of Year For a Spring Cleaning With a Dentist In Plano! If you took a poll asking people to name their favorite season, there’s a good chance most of them would say spring! After a long, dreary winter, there’s nothing like longer days, warmer weather, and green grass. But, while many people feel the urge to spring clean their house, garage, or even their desk at work, they may forget to include a dental “spring cleaning” on that list. And, even if you do well with brushing and flossing at home, your oral health needs a little (professional) extra attention throughout the year. 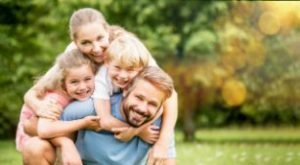 Keep reading to learn about the benefits of a professional checkup and cleaning and why it’s such a great time to schedule the whole family! When people think about their dental health, oftentimes they focus on cavities alone. While it’s true that strong, healthy teeth are very important, a healthy smile involves more than that. In fact, you can think of your gums as the foundation of your oral health because they support your teeth and keep them in place. Many people are surprised to learn that gum disease is the leading cause of tooth loss, which makes it critical to maintain gum health. Fortunately, although the consequences of gum disease are serious, there’s an easy way to prevent it altogether: Get regular cleanings! What Does a Checkup and Cleaning Include? At each checkup and cleaning, you’ll have every aspect of your oral health evaluated. A dentist and hygienist work together to “cover all the bases” and make sure both your teeth and gums stay healthy. Oral cancer screening – Two pairs of eyes are better than one. While a dentist always screens for oral cancer at every checkup, hygienists also receive training in oral pathology so they can screen each patient as well. Oral hygiene tips (as needed) – Your brushing and flossing habits are crucial, and hygienists can provide many tips and tricks to help you be as effective as possible. Dietary tips (as needed) – Oftentimes, learning about the impact of a daily soda or particular snacking habit is all that’s needed to significantly reduce cavities. Prevention – In healthcare, prevention is the name of the game. Cleanings not only prevent or manage gum disease – they’re also a chance to get a fluoride treatment that’s highly effective for strengthening your enamel and preventing cavities. As you can see, checkups and cleanings include so much more than a cleaning alone. Although they’re typically done just twice annually, they’ll help you have a healthy smile the entire year through! Dr. Christina Ky has nearly a decade of experience as a family dentist in Plano and is a graduate of Baylor College of Dentistry. In her experience, patients who get regular checkups have far fewer dental problems than those who don’t, so she always encourages her patients to schedule regular preventive care. If you have any questions about your oral health or would like to schedule a cleaning, she can be contacted via her website. Comments Off on It’s the Perfect Time of Year For a Spring Cleaning With a Dentist In Plano!